Robin Robins is the IT industry's most in-demand marketing consultant, sales trainer, and author who specializes in highly effective marketing strategies for VARs, Systems Integrators, MSPs, Solution Providers, and IT consulting firms. Robin is the author of the Technology Marketing Toolkit and Million- Dollar Managed Services Blueprint. To date, over 8,000 IT business owners from all over the US and in 37 different countries have learned and implemented the marketing systems she has developed to create hundreds of millions of dollars in NEW sales, NEW opportunities, and NEW revenue streams for their business. 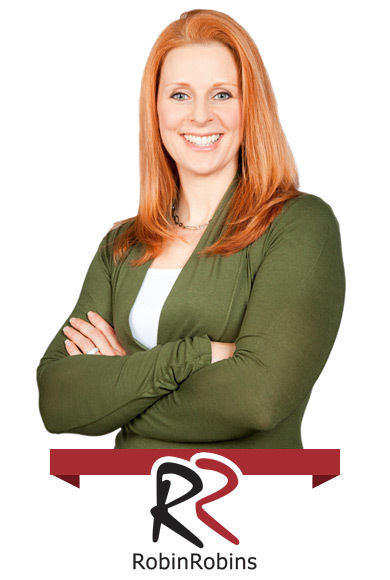 Robin has been voted a #1 speaker at many industry events such as BreakAway, System Builder Summit and VAR Vision, ASCII's boot camps, CT Summit, and SMB Nation. She has been published in VAR Business, eChannelLine.com, Sales and Marketing Magazine, Selling Power, and SMB Partner Community Magazine. Robin is a true "marketing rock star" for small IT business owners and currently commands over $1,500 per hour for her consulting services with a 6-month waiting list. In addition to her extensive experience with IT service firms, Robin has developed marketing strategies for over 1,200 businesses in 14 different industries across North America, Australia, and Europe. This includes both online and off-line marketing strategies for computer training schools and universities, franchise organizations, software companies (Novell, Surf Control, AVG anti-virus, and Microsoft), financial services, seminars and events, member organizations, and a variety of consumer products and services. This vast experience has given Robin a broad knowledge of hundreds of marketing and sales tactics used by some of the most successful, sales driven organizations in the world. Robin has been a favorite speaker for IT industry events such as System Builder Summit, SMB Nation, CompTIA’s BreakAway, CT Summit, ASCII Boot Camps, and Strategies for Success, and has been interviewed and published with eChannelLine, Channel Pro and in VAR Business and Sales and Marketing Magazine. Give your audience specific processes for developing a successful marketing system and increasing sales in their IT services business. How to build a marketing system to generate more qualified leads and customers. How to implement a strategic sales process to close more business. Specific marketing strategies for selling managed IT services, cloud computing, backup and disaster recovery solutions and more. Time management techniques that increase productivity and improve overall results. Inquire about Robin speaking at your event – contact us at 615-790-5011 or sponsors@technologymarketingtoolkit.com. The Technology Marketing Toolkit is a complete step-by-step marketing system in a box for small to medium IT consultants, VARs, MSPs and solution providers. If you want to learn a proven, field-tested way to launch your managed services program to existing clients AND new ones, start here. 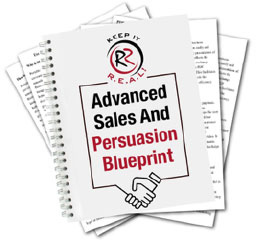 This comprehensive, step-by-step sales process is unlike ANY sales training you've ever experienced because it STARTS with how you position yourself from the beginning, and uses a straightforward, direct and non-manipulative approach to helping clients. A step-by-step consulting process and marketing templates that position you as the ULTIMATE expert and advisor regarding backup and disaster recovery. What Do These Products Give You? Specific, usable marketing strategies that have been field-tested and PROVEN to work over and over again for small to medium IT business owners. Strategies on how to cut the time and effort of prospecting, qualifying, and selling in half. Examples on how to ATTRACT highly qualified prospects to you who are already predisposed to doing business with you. As a member to this private inner circle of clients, you get all of the benefits of the Apprentice Club PLUS quarterly in-person meetings with Robin. This is a starter program for people who are new to Robin’s marketing systems. David M. Moore, PhD., CEO, ADAM Technologies, Inc.
Anthony Tullo, Senior Technical Sales Manager, Specialized Information Management Systems, Inc.
Neill Hopkins, Director Channel Programs, Novell Inc.
“I wanted to tell you how much I have benefited from your program. After twenty years in marketing and many, many classes and seminars, I can honestly say that this one has been one of the BEST! It is great to see seminars that are designed specifically for our industry. Thank you so much! Angel Rose, Parnter, Career Computers, Inc. Copyright © Technology Marketing Toolkit, Inc. Terms and Conditions.